How automated payments work and setting them up. Auto-payments is a service that can automatically take payments for outstanding invoices. It is designed to collect payment from members 24 hours after their invoices are generated on the 1st of each month. This gives you and your members a window of opportunity to review invoices before any money is taken. Please note that the auto payments service only takes payment for members that (a) have active subscriptions and (b) have a card on file. 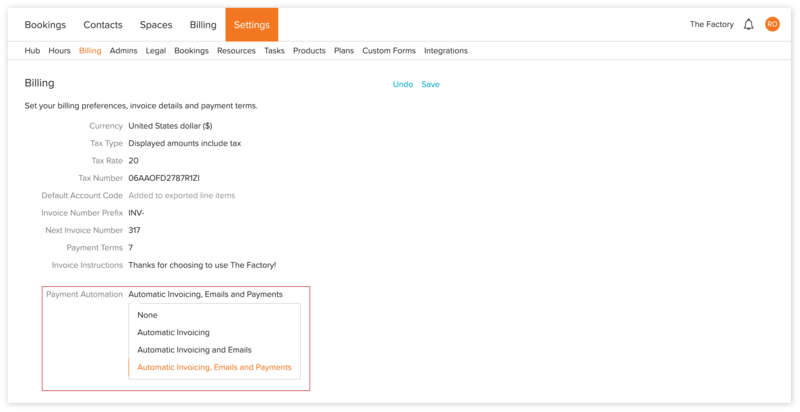 To get started you need to go to Settings > Billing and select 'Automatic Invoicing, Emails and Payment'. Stripe or Adyen need to capture your member's card details in order to facilitate monthly recurring payments. To do this, your member simply needs to have made a payment, whether that's through the User Area, a product or plan you integrated into your website or an invoice pay the first invoice that is sent to them. They do this by using the 'Pay Now' button on their invoice. The button only appears when you have connected Stripe. After they've paid their first invoice, they won't need to add their card details again. Payments will always be taken on the 2nd day of each month. 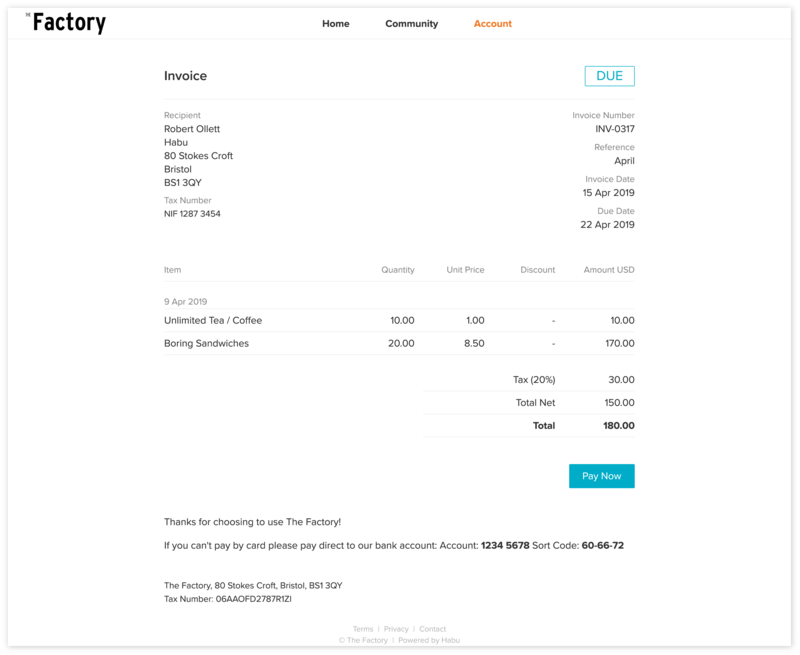 Habu automatically updates the payment status of an invoice. If you see a 'Declined' payment status carry on reading. It's possible that at some point an auto payment will fail. This could be due to any number of reasons ranging from a card expiring through to lack of sufficient funds. If an invoice is showing 'Declined' select the invoice number to get further details. If you'd like to find out more with card failures, we have a dedicated help doc here.